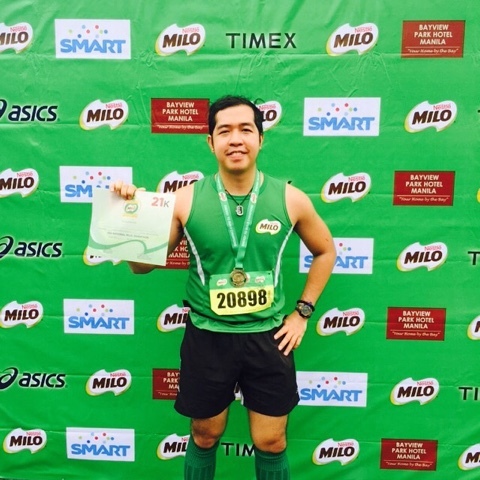 It's already one year ago when I first joined the competitive Milo National Marathon. 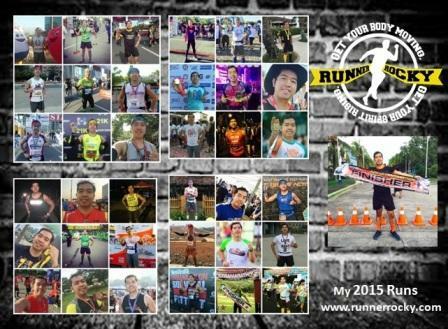 Yours truly Runner Rocky conquered 21K for two consecutive years. 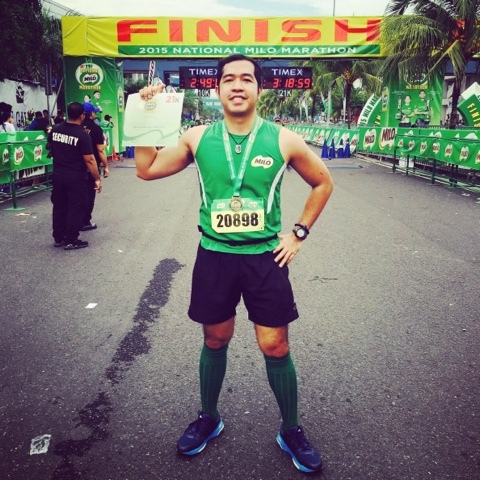 It's always my tradition to have a mandatory photo in the finish line whenever I successfully finish a race. 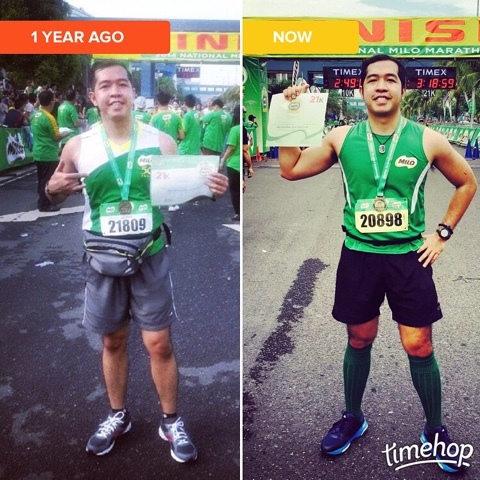 And for my two Milo marathon races, the Timehop app provided my Then and Now photos of this challenging run. 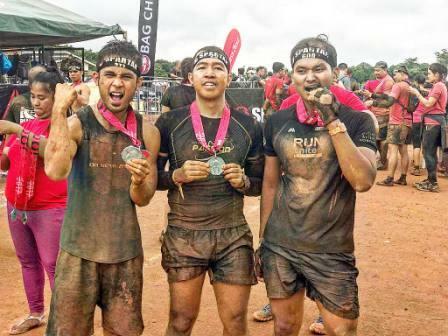 What can you say about the two photos? 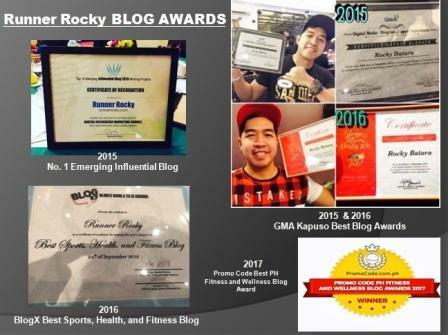 Do you see the great improvement?! 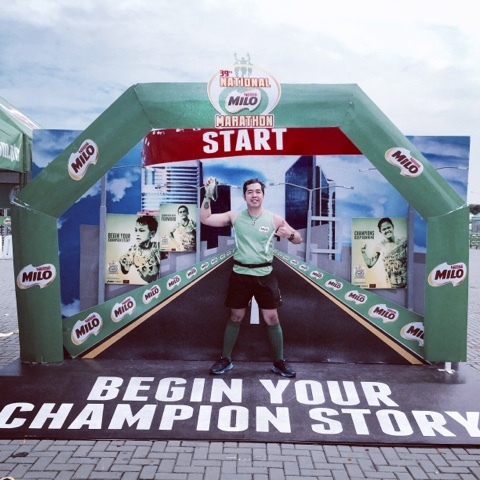 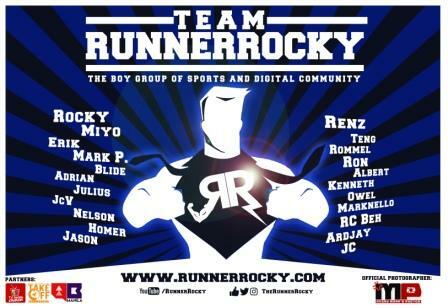 A better, tougher, leaner, and stronger Rocky who is now Runner Rocky is a proud product of Milo!